I spent the weekend in Portsmouth visiting my friends Steve and Anna. It's a pleasure at any time, but the excuse on this occasion was a jaunt to the Hovercraft Museum at Lee-on-Solent, which Steve and I made on Saturday by train, bus and the Gosport ferry. The museum is located close to a former hovercraft testing site, and the exhibits are housed in old seaplane hangars. Their star attraction is the Princess Anne, the last survivor of the SR.N4 Mountbatten-class cross-Channel hovercraft and the largest civilian hovercraft in the world. 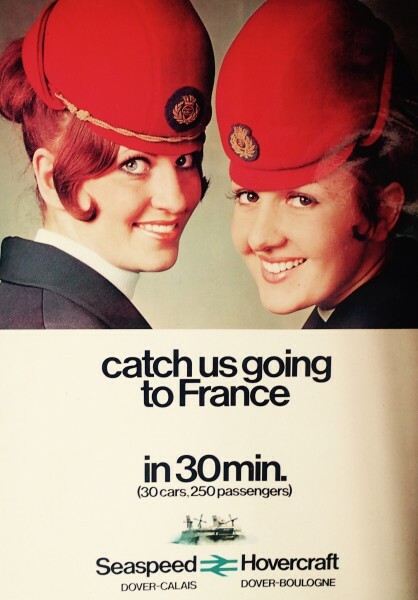 I love bygone eras of travel, so I enjoyed all the old posters, leaflets and uniforms as much as the technological marvel of it. 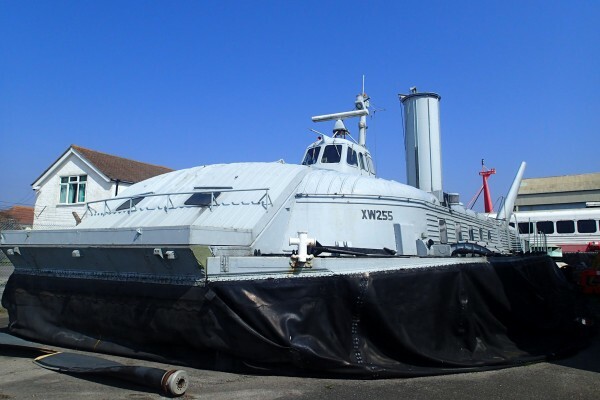 They also have a BH7 Wellington-class military hovercraft. We learned that hovercraft are great for military applications because they can get troops and supplies just about anywhere, and don't trigger seamines. 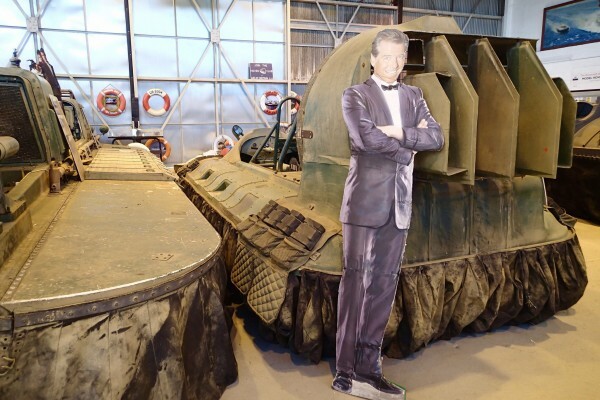 There were James Bond hovercraft! 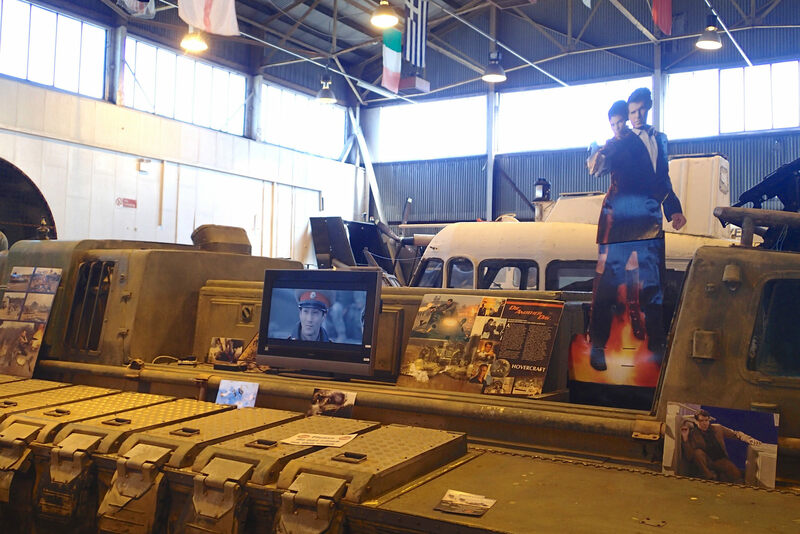 The big one had so much tat bolted to it to make it look scary that it became too heavy to hover and had to be towed - a fact which delighted me almost as much as the cardboard cutouts of Pierce Brosnan. Inevitably, our evening's viewing was Die Another Day. catch us going to France in 30 min. Heh! Now that you mention it, yes, it does indeed! Pretty sure I went on one of those giant ones once. Dim memory. Coo! I've only been on the Isle of Wight one, which was much less thrilling than I thought it was going to be. I think they're more impressive to watch from the outside. 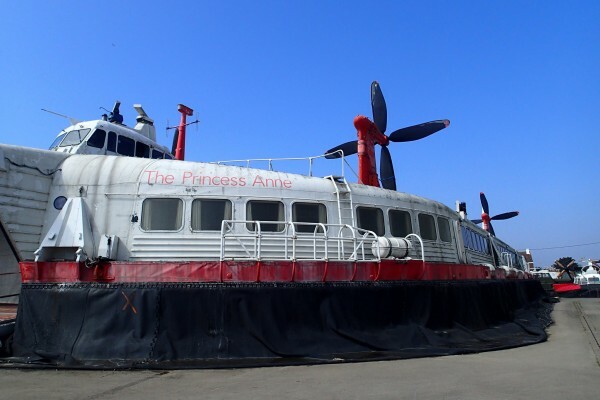 Yes - it was one of the best Hovercraft Facts I learned!